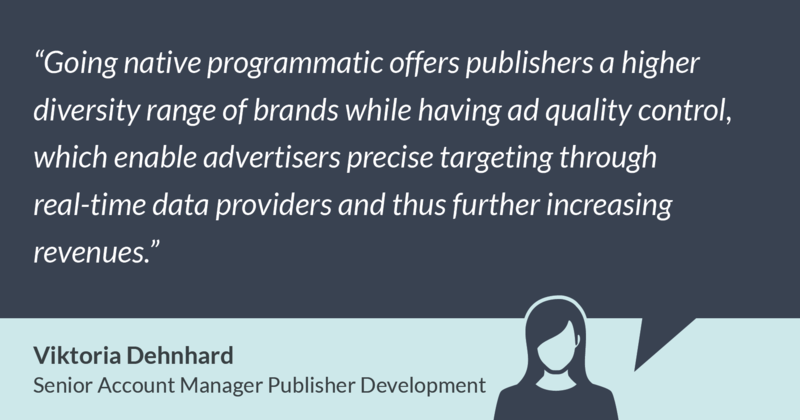 Why should publishers also consider to grow native programmatic when selling their inventory? Let’s have a look at why implementing this method is useful from a publisher’s side. Programmatic has been the talk of the town these last years, and for good reason. This method is highly significant as it is promising to both publishers and advertisers. Simply put: advertisers are “matched” with relevant ad slots on publisher sites through a cloud, which result in an auction for publishers’ premium slots. Through this, both the demand and supply side of the programmatic process benefit in earning revenue. #2 What does going programmatic mean to the publisher from the supply side perspective? Supply and demand partners make decisions on a per-impression basis through this automated method of buying. Programmatic allows publishers to supply a large pool of premium placement slots, giving publishers the opportunity to display high-quality ads. “Going native programmatic offers publishers a higher diversity range of brands while having ad quality control,” says plista senior account manager, Viktoria Dehnhard. Publishers have the benefit of receiving reception from high-quality advertisers who are willing to pay the highest bid for the ad slot in a publisher’s content. Data management platforms (DMP) play a large role in the ad exchange process. With DMPs’ efficient intelligence layer, publishers have infinite access to user data where publishers can construct targeted audience strategies. DMPs activate and onboard 1st party data, personalize consumer experiences, and report on trends across all audiences, all while linking data points that are associated with users in real (or near-real) time. In order to reach the recent wave of mobile device users, advertisers are left to consider to go native programmatic. Increased ad spending for slots accommodate this large pool of users, which results in the rise of mobile campaigns. 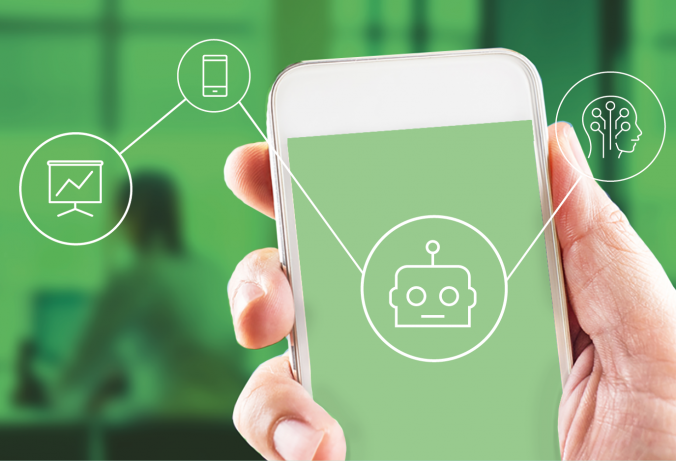 More advertisers are seeking automated matches with suitable ad slots, which shows why publishers should also be onboard in going programmatic. Publishers need these native campaigns in their sponsored content to be able to keep up with mobile users, for example. 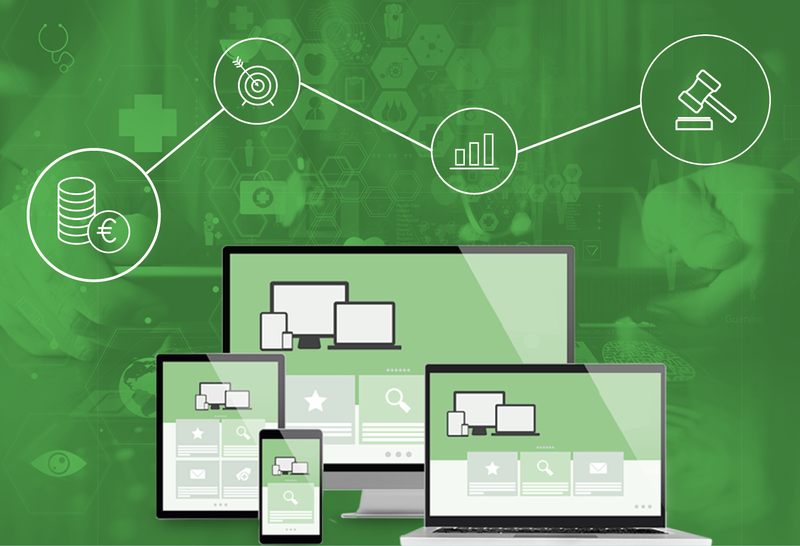 Publisher content that features multi-device campaigns are crucial as this generates more ad revenue. Innovative and captivating content, such as video inventory, is more important than ever in terms of appealing to programmatic advertisers. Advertisers who go native can tap into a new realm of markets through the high use of mobile devices. Featuring ads that are relevant to the content consumed by users is crucial to publishers. High-quality native ads that can blend in with publisher content yields potentially-decreasing ad blocking and a better user experience. This is of great benefit to both parties of the programmatic process: advertisers and publishers would both receive high traffic and potentially loyal visitors. With mobile display and video as the future staple of ad distribution, advertisers need all the matching data they can get. This is why publishers should consider to go native programmatic as well to fulfill these trending needs. #6 What can publishers gain from selling programmatically with plista? With plista’s SSP integration, publishers will be able to sell inventory in a more democratic way. This accomodates a variety of demand sources. Thus, publishers benefit from a greater reach of quality ads. We offer quality data with our unique algorithm that is sure to provide publishers with significant data and audience insights. This enables publishers an efficient and smooth auction. With plista’s quality access, we ensure advertisers a reached goal, which allows for increased monetization possibilities. When going native programmatic, publishers can proactively attract advertisers who want to bid their high-quality ads on coveted slots in publisher sites.